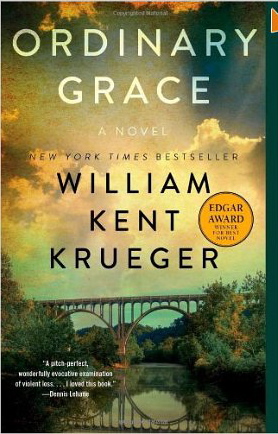 The next book I read was Ordinary Grace by William Kent Kreuger, author of the Cork O’Connor series, which is a stand alone novel that not only won the 2014 Edgar Award for Best Crime Novel, and the Midwest Booksellers Choice Award, but has been nominated for several others. The opening prologue sets the scene as the narrator Frank Drum looks back from the perspective of forty years on the summer of 1961, and the seemingly idyllic setting of a small town in middle America when he was 13 years old. Ordinary Grace is beautifully written lyrical, emotional, multilayered, schmaltzy and very American novel. 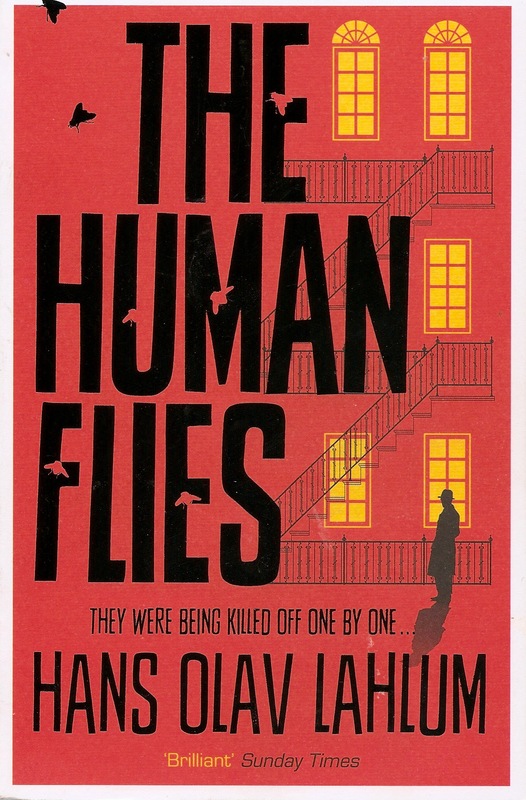 I admit to crying at one point as the plot unfolded and I realised that all the characters are flawed in some way. Their visible flaws, Frank’s younger brother Jake has a bad stutter, his older sister Ariel has a hare lip, her boyfriend Karl’s family includes Lise who is deaf and her uncle Emil, a concert pianist who is blind, are as nothing to the secrets they keep hidden inside. It is as if Frank is feeling nostalgia for a lost time and a utopian childhood world that never was. The tone of Ordinary Grace has been compared, by The Detroit News, to Harper Lee’s masterpiece To Kill A Mockingbird with its combination of dread and nostalgia. The nostalgia is heavily laid on so that the terrible events are that much more shocking. Ordinary Grace is a very good read but be prepared to have your heartstings pulled as the crisply drawn characters exhibit feet of clay, and the reader is made to understand that although at times life is very hard we have to go on even though we are distraught with grief. 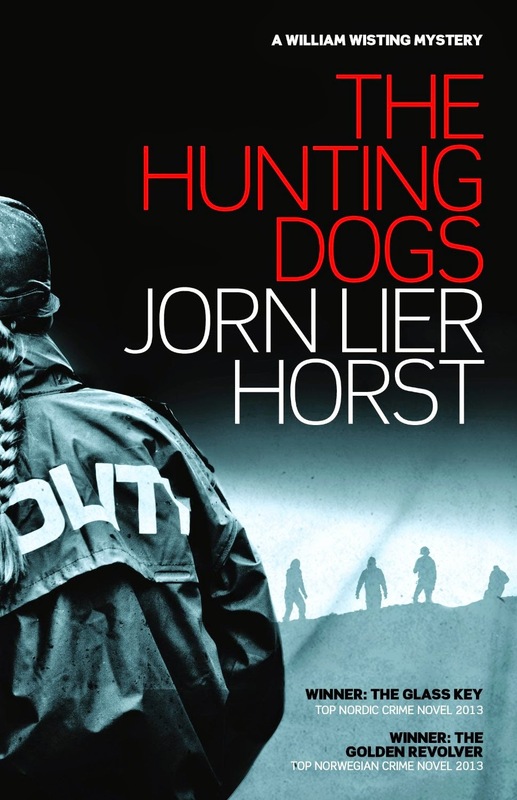 The Hunting Dogs by Jorn lier Horst translated from the Norwegian by Anne Bruce has won both The Golden Revolver [Top Norwegian Crime Novel 2013] and The Nordic Glass Key 2013. The Hunting Dogs is written in a clinical factual police procedural style which is compelling. I thought this a superior book to the author’s Closed For Winter. Seventeen years earlier William Wisting lead the investigation into the murder of Cecilia Linde, now it seems the evidence may have been fabricated and DNA may have beenn planted by the police. The convicted man Rudolf Haglund is free and Wisting is suspended as an investigation begins. Meanwhile Wisting’s crime reporter daughter Line is looking into the murder of one Jonas Ravneberg , and is also very concerned that the media have already made a negative judgement about her father. 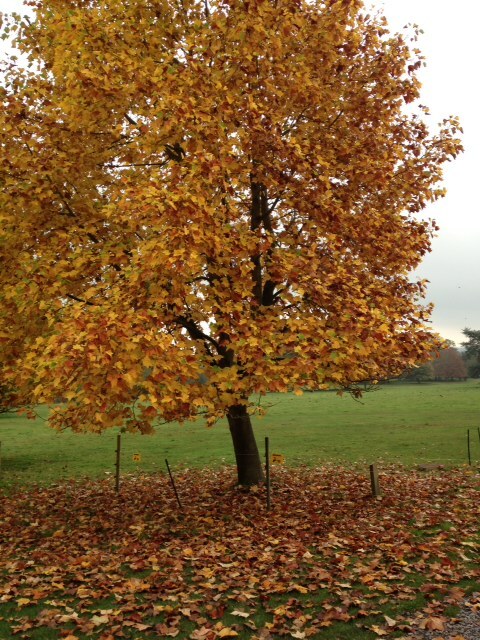 Then another young woman goes missing……. ‘We killed Cecilia Linde,’ Wisting repeated. The Hunting Dogs explores the relationship between father and daughter, the media’s responsibility in dealing with abduction cases, and the stress placed on the detectives in such cases. It also raises issues about the question of how a system of law that is balanced heavily in favour of perpetrators and their human rights as opposed to those of their victims can function in a very violent world. As a retired policeman once said to me “we can’t interrogate people anymore we have to bore them into a confession”. The Hunting Dogs has to be a strong contender for the International Dagger and Petrona Awards next year. ‘What’s he doing?’ Morten P asked. ‘He’s just sitting watching people,’ Line said but, at that moment, it dawned on her he was not simply looking. He was selecting individuals and studying them in detail. All of them young women. Cobra by Deon Meyer translated from the Afrikaans by K.L.Seegers is a fast moving thriller set in Cape Town. Benny Griessel is called to a bloodbath when trained bodyguards have been executed at a luxury guesthouse by a professional killer, or killers, leaving behind distinctive shell casings marked with a cobra. 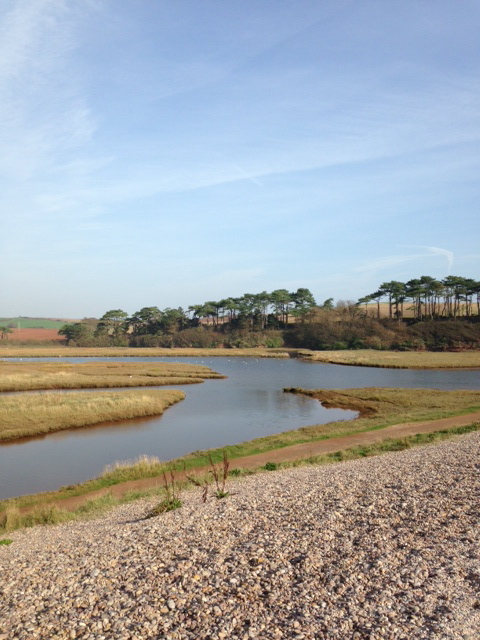 A mysterious Briton Paul Morris, a man seemingly with no past, is missing presumed kidnapped. 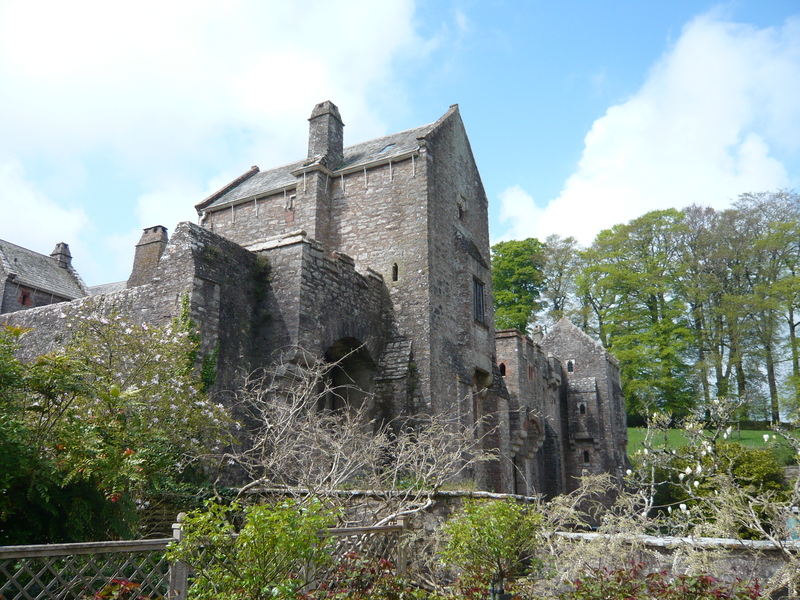 We have been away for a week touring the beautiful houses and countryside of Kent and East Sussex in wonderful summer weather [possibly some photos later] so that I have only just finished the Arctic set Forty Days Without Shadow by Olivier Truc. Olivier Truc was born in France but has worked as a journalist based in Stockholm since 1994. He has produced television documentaries including one about the work of the Norwegian Reindeer Police in Lapland. Forty Days, his debut novel draws on that documentary and blends in his journalistic interest concerning social issues such as the treatment of minorities. The story begins with a short prologue set in Central Lapland in the year 1693, showing the persecution of the Sami by Christian pastors. The reader is taken forward to the present day in January when the polar night will end and the sun will return. At Kautokeino in Norway we are introduced to the main protagonists who are two members of the Reindeer Police. Klemet Nango, a veteran Sami officer, who at one time was working in Stockholm on the Olaf Palme investigation; and the young blonde stunningly beautiful Nina Nansen, a new recruit. They have to investigate the theft of a sacred Sami drum from a local museum, apparently one of only a limited number to survive the drum burning carried out by Christian pastors in a campaign against Sami religion and culture. As they investigate the theft and question reindeer breeders in the harsh Arctic environment Nina moves into unknown territory. How could people live like this here in Norway, in her own country? The scene reminded her of a TV documentary she had seen once, about a Roma encampment in Romania. 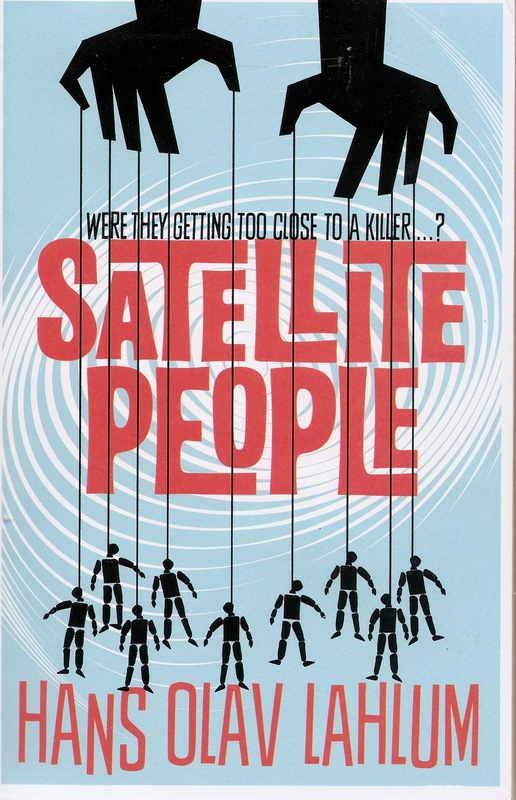 When Mattis one the reindeer breeders is murdered the investigation becomes far more complex. 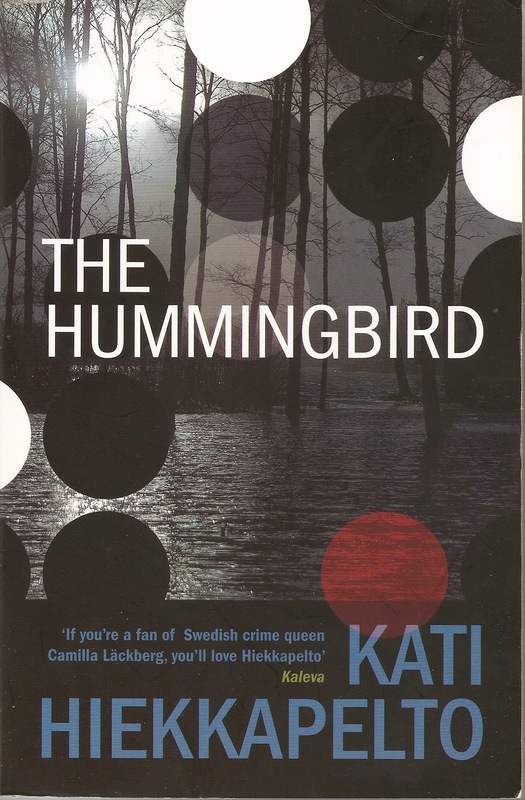 With a UN conference being held shortly in Kautokeino the mismatched pair of police officers must look into a 1939 expedition that included anthropologists from Sweden’s State Institute for Racial Biology, hunt down the Sami drum, and search for Andre Racagnal, a villainous French geologist with a liking for adolescent girls. Racagnal is plotting with local figures to exploit the mineral wealth of the region. When Nina travels to Paris to interview Henri Mons, who donated the Sami drum to the museum and was on the 1939, she learns some shocking facts as she studies photos taken by the Swedish anthropologists. It did not take Nina long to realise that they were clearly intended to illustrate the racial superiority of the Scandinavians, and the inferiority of not only the Sami, but also the Tartars, Jews, Finns, Balts and Russians. Forty Days is an excellent read, rather dark and perhaps a little longwinded at times as Klemet and Nina travel hundreds of kilometres back and forth across the Arctic wastelands on their snowmobiles, but it would certainly be a worthy winner of the CWA International Dagger. 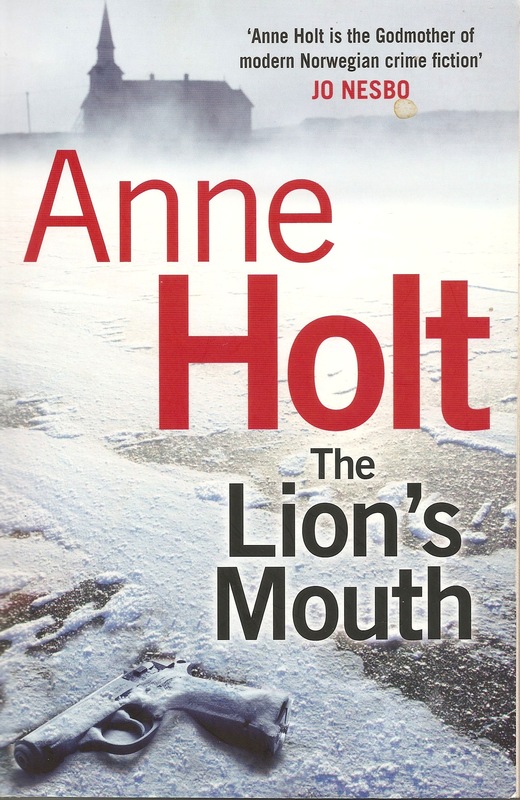 The characters are interesting, while the information about Sami culture and the problems that affect their society reminded me of Tony Hillerman’s wonderful books about the Navajo. And I took one of the messages of the book to be that indigenous peoples in many many countries are exploited, and their way of life and their culture threatened in some way by incomers. ‘The Swedes recruited the Sami by force,’ Nils Ante went on, ‘to work in the mines. And they used reindeer to transport the ores to the rivers. There’s your story. Any Sami who refused was beaten and imprisoned. Behold the foundations of the wealth of your splendid Nordic kingdoms. 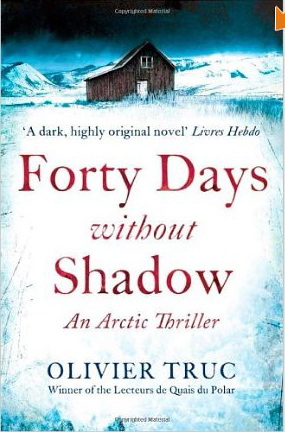 Forty Days Without Shadow by Olivier Truc translated from the French by Louise Rogers Lalaurie is a very interesting read set in Lapland, where the Reindeer Police enjoy cross border jurisdiction. The Sami like indigenous people all over the world struggle to hold on to their way of life, as incomers try to exploit the mineral wealth of the country. 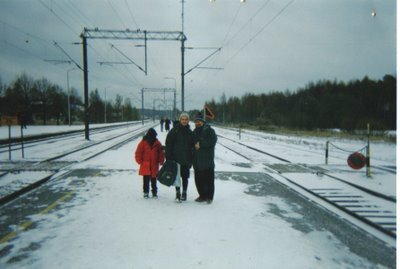 My own personal experience of the Sami people is limited to a brief alcoholic conversation on a train journey from Uppsala to Stockholm over twenty years ago. See The Swedish Apache. I mention this blog post from 2009 because there are some particularly interesting replies to my post. 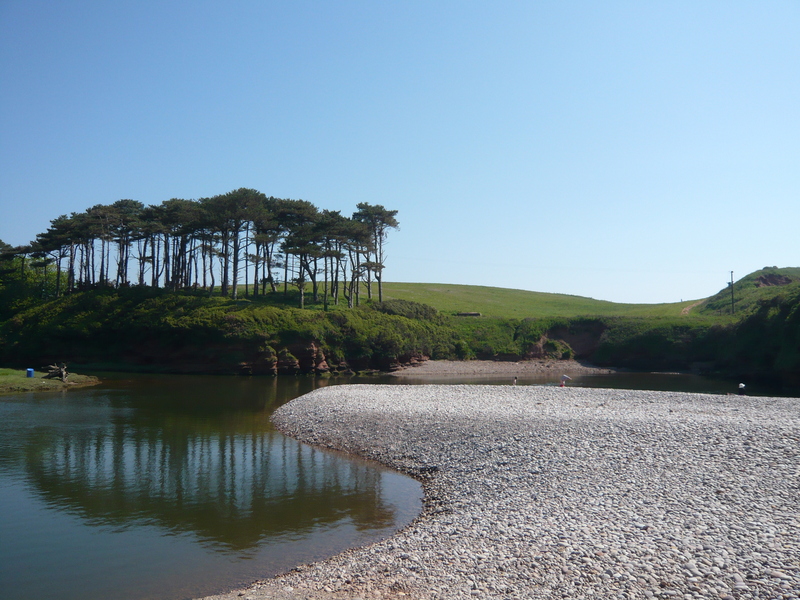 I haven’t read as much of Forty Days Without Shadow as I had originally planned simply because I have been pleasantly distracted by some summer weather, trips out to Devon’s scenic sites, and American visitors. Those visitors from the USA have included, very old friends who emigrated from England to the beautiful Pocono Mountains of Pennsylvania in 1981. And fellow blogger Margot Kinberg, who it was a great pleasure to meet in person after a few years of enjoyable internet contact. 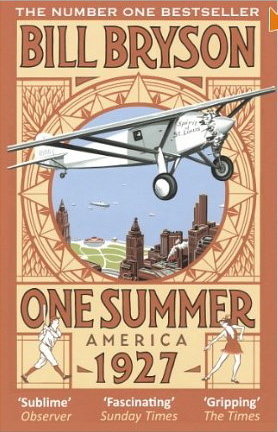 And I have also been seduced into reading chunks of Bill Bryson’s brilliant best seller One Summer America 1927, Charles Lindbergh, Babe Ruth, Lou Gehrig, Herbert Hoover and Al Capone in a very different USA. I have also been distracted, possibly temporarily, by some football matches. 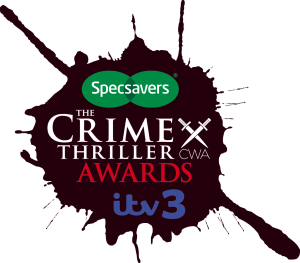 All this means that unfortunately the announcement of the International Dagger Award and the Endeavour Historical Award winners will take place before I have had a chance to read more of the shortlists. From the website Typographical Era [see below] I was pleased to learn that translator Don Bartlett has been nominated along with author Karl Ove Knausgaard for the 2014 Best Translated Book Award. Don translates Jo Nesbo and K.O.Dahl among others; so he has brought to mono-linguistic English readers many exciting books over the past few years. 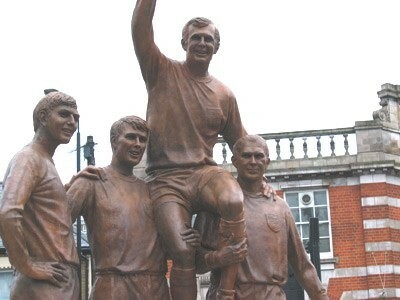 I was very pleased to see part of my interview with Don was used to publicise the award. 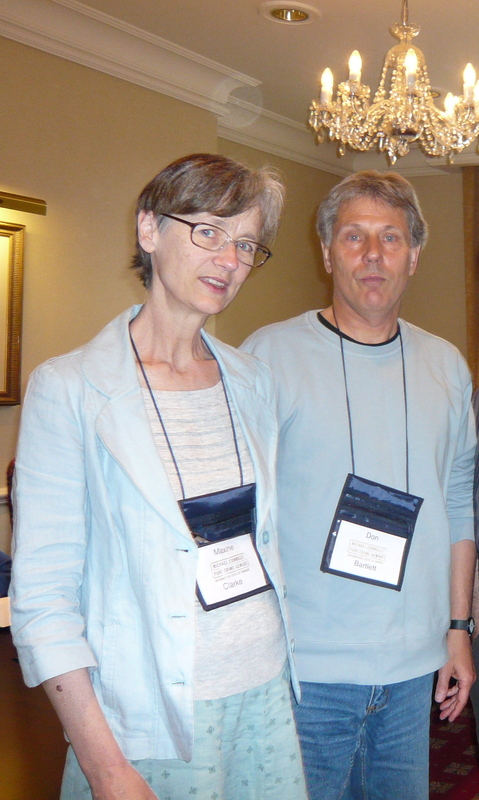 The photo shows Don with the late Maxine Clarke, a great champion of Scandinavian crime fiction and an admirer of Don’s work. “A novel, short story, or other piece of fiction might be great in its original form, but let’s face it, without the loving attention of a skilled translator it could end up destroyed when it arrives in its English version. The Best Translated Book Award isn’t just about the authors, it’s about the translators who take their work and make it accessible to an even greater audience as well. To drive that point home, the award’s$10,000 cash prize is split equally between the winning author and the translator of his or her book.